Small business owners are the hardest-working people around. They are usually either the ones who unlock the door in the morning, or the one to lock up at night – or both. But keys and doors only protect so much: are your most valuable assets — your trade secrets — protected 24 hours a day, seven days a week? Most trade secrets need more than a lock and key for protection, because the most likely thieves are from inside, not outside of the company. (2) subject to reasonable efforts to protect their secrecy of that information. Examples of trade secrets are: compiled information (like customer or vendor lists), methods or techniques of production, formulas, devices, or programs. Identify Your Trade Secrets in Advance. Having tried trade secret cases for over a 25 years, it always amazes me how few business owners have taken time to even identify their trade secrets before they are taken. Some assume that whatever they call a trade secret is automatically one, but not everything of value is necessarily secret, and not everything secret is of value. A trade secret has to be both valuable and secret. You may find paper clips to be more valuable to you than staples, but that isn’t necessarily a secret. The shape of your lamps may be attracting lots of customers, but that shape certainly isn’t secret. Inventory Your Trade Secrets by compiling a list (that itself is protected). If you have some doubt whether something is a trade secret, add it to your list, then discuss it with counsel. Then, focus on protecting that information. While there are outsiders who will attempt to steal this information, the most common thefts are from the inside, meaning your partners and fellow employees. Start Early. When interviewing candidates, mention the need to protect the company’s trade secrets (without mentioning what they are, of course). Any hesitation in agreement should win them a goodbye. Written Acknowledgements. 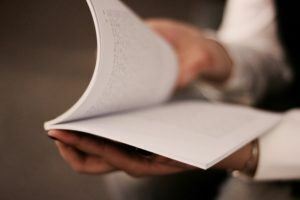 Once someone is employed, they need to sign documents acknowledging the confidentiality of certain information before they are granted access to it. Build this in to the new employee process, just as you do with W-4 forms and I-9 authorizations. Also, annual re-acknowledgments would help a great deal if you ever need to take a former employee to trial. Employee Handbooks. The Employee Handbook sets out your procedures; a few good paragraphs on the need to protect trade secrets is an important reminder. Mark What Is Protected. 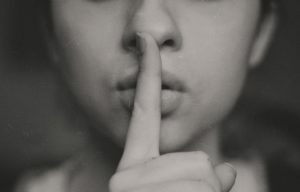 A vital part of protecting your trade secrets are letting your employees know what they are – and by implication, what they are not. If financial information is a trade secret, make sure that it is marked as such. Balance sheets, profit and loss statements, and anything of value should be marked “Confidential.” Modify the templates in your software so that that legend appears automatically. Lock Up What You Can. Most trade secrets are on a “need to know” basis. Sales reps need customer information, but they don’t need to know the intricacies of your recipe, while your kitchen personnel just need the recipe. Any information on a computer that you consider a trade secret is best protected by a password or two. Software that keeps reliable track of who used what information and when is both a big help for a trial, and a good reminder to your employees that you are protecting your trade secrets. Hackers. More than ever, outsiders are hacking into systems to steal competitive information. Consult with your information technology adviser as to the best configuration to protect the jewels of your business.